With pregnancy comes hormonal changes, a shift in body weight and a laxity of connective tissues. New stresses are experienced by the lower back and pelvis. Many women report that their pregnancies were easier and their deliver times shorter when they received chiropractic care. Even today's birthing procedures can put tremendous pressures on a child's spine. And while the injury from forceps deliveries may be less common today, vacuum extraction and eager hands can cause damage by pulling, forcing and twisting the baby's delicate spine. Is a Chiropractic Examination Necessary? Without the language to explain, many newborns experience colic, unexplained crying, lack of appetite, frequent ear infections or other signs of poor health. A chiropractic examination is essential to determine if birth trauma to the spine is involved. Then if indicated, a gentle, life-affirming adjustment is given. With no more pressure than you'd use to test the ripeness of a tomato, nerve-compromising subluxations can be reduced. Almost miraculously, many parents see instant improvements in the well-being of their child. hard-to-correct subluxation seen in adults. Sadly, bed wetting and many childhood aches and pains are passed off as "growing pains" or "just a phase they're going through." Careful! Aches and pains at any age are a sign that something isn't right and subluxations may be involved. Make sure your child has the best chance to be all that he or she can be by having a nervous system free of subluxations. While childbirth is a very natural process, subluxations may occur as babies spines are extremely delicate. Going through the birth canal may cause a shift in the baby's joints which can be irritating to their nerves. Seeking a chiropractic opinion about health issues affecting your child is something you can choose to do without any prior approval. 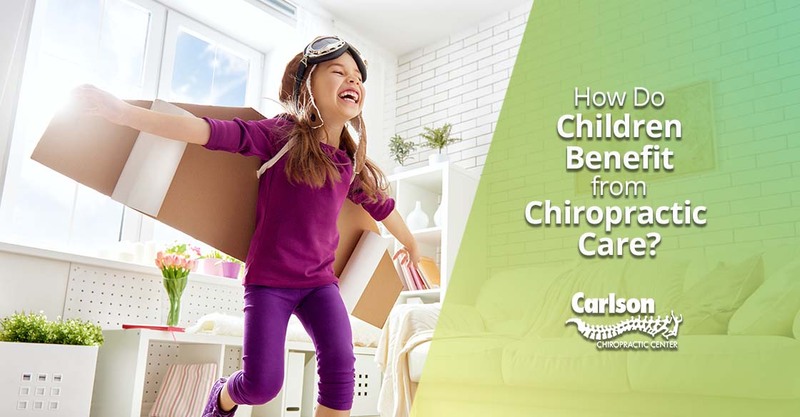 Many medical practitioners keeping up with the latest pediatric chiropractic research understand the value of this natural, drug-free approach to better health. This is a common concern among parents who mistakenly think that their child will receive adjustments like the ones they receive. Adjusting techniques are modified for each person's size and unique spinal problem, and an infant's spine rarely has the long-standing muscle tightness seen in adults. This makes a child's chiropractic adjustments gentle, comfortable and effective. NEED ADVICE ON ACHES AND PAINS FOR ALL GENERATIONS? 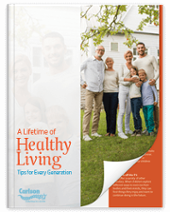 DOWNLOAD OUR FREE GUIDE TO A LIFETIME OF HEALTHY LIVING! Benedetti, T.J., Birth Injury and Method of Delivery. New England Journal of Medicine, 341(23): 1758-9,1999. Hughes CA, Harley EH, Milmoe G, et al., Birth Trauma in the Head and Neck. Archives of Otolaryngology Head and Neck Survery, 1999, 125(2):193-9. Riordan, J., Ed.D., Auerback, L. Ph.D., Breastfeeding and Human Lactation. 2nd edition, Jones and Bartlett Publishers, 2001. Sadler, T. W. Ph.D., Langman's Medical Embryology, Lippicott, Williams and Wilkins, 2000.